Parasites are a part of a dog’s life. They bring a host of diseases along with them which turn out to be fatal at times. But no matter how much we hate these pesky critters they are bound to trouble our pets. Therefore, it is imperative to take measures in advance so they can be easily kept away. Though there are umpteen flea products and Heartwormers in the market that are quite effective, you have to take two separate treatments for them. But, not now! 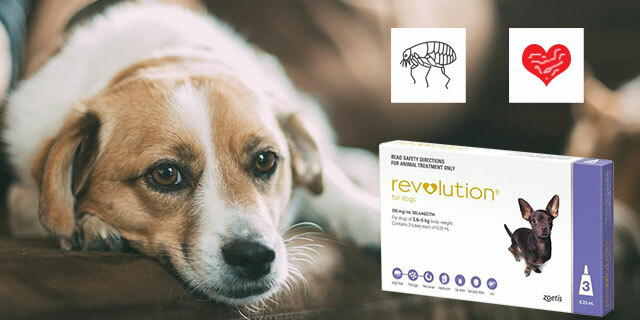 Revolution provides complete protection against multiple parasites with a single application. It is hassle-free and customers love it. So, let’s see which all parasites Revolution treats, why it is such a popular choice and the way it works. Revolution is easy to apply, all in one topical solution that kills all the existing endoparasites and ectoparasites with a single application in dogs and cats. Its powerful ingredient Selamectin seeps into the skin and kills adult fleas, flea eggs, microfilaria (juvenile heartworms), ear mites and also American dog ticks. 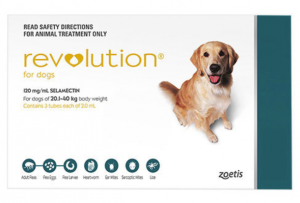 Revolution is also used as a treatment strategy for Sarcoptic mange in dogs. This quick-drying, non-greasy formula starts its action in a few hours and completely eliminates all the fleas within 12 hours. Also, the solution redistributes itself on the skin thereby protecting the pet from future infestations. It also traverses inside the body where it kills microfilaria circulating inside the bloodstream. Thus, to describe succinctly, it is an all rounder product for treating multiple parasitic infestations in one go which makes it customer friendly and easy on the pocket. 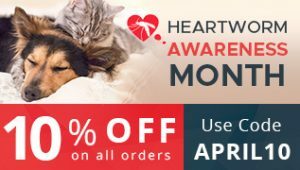 Buy Revolution For dogs at Lowest Price | Free Shipping! Selamectin is a parasiticide and an anthelminthic which when enters the bloodstream through the skin kills heartworms. This chemical partially redistributes itself on the skin to kill fleas and mites as well. So, when a flea bites, the chemical enters inside its body and attacks the nervous system, thereby causing hyperactivity in the critter. This overactive state and disruption of neural signals eventually kill the parasites. How Is Revolution for Dogs different from Revolution for Cats? The difference between the two products lies in its dosage and the concentration of selamectin. In dogs, the volume of selamectin to be administered is high than that in cats. However, the Pink pack can be used in both puppies and kittens because of its gentle selamectin volume. Note: Revolution must be only used in pets that are over 6 weeks of age and are healthy enough. Revolution is a waterproof product. Its efficacy is not reduced by immersing the pet in water or bathing it two hours after the administration. However, you must wait until the solution completely dries out. Do not apply the treatment if the pet’s coat is still wet or damp. Revolution can be safely used to treat pregnant and lactating pets. It may cause hair loss at the application site, vomiting, salivation or rapid breathing in adverse cases but such side-effects are rare. You can use the product in Collies without any skepticism. In case you forget to apply the monthly dose, apply it immediately and resume the schedule starting from that date. Make sure you do notify about the lapse before taking any action. Revolution is an incredible product by Zoetis. It has earned trust from its loyal users over the years. The best thing about this product is – it is a complete solution for multiple parasites, yet is so affordable that customers love to treat their pets with this power pack solution. It also eliminates the fuss of chasing the pet for the administration of two different products. One application takes care of all the troubles. Isn’t it really amazing?! Like a panacea for all dog troubles. So, if you had been looking for such a product and couldn’t find one, here is where your search ends. Go…get rid of those nasty buggers now! You may also like to read How Revolution is Different From Sentinel Spectrum?